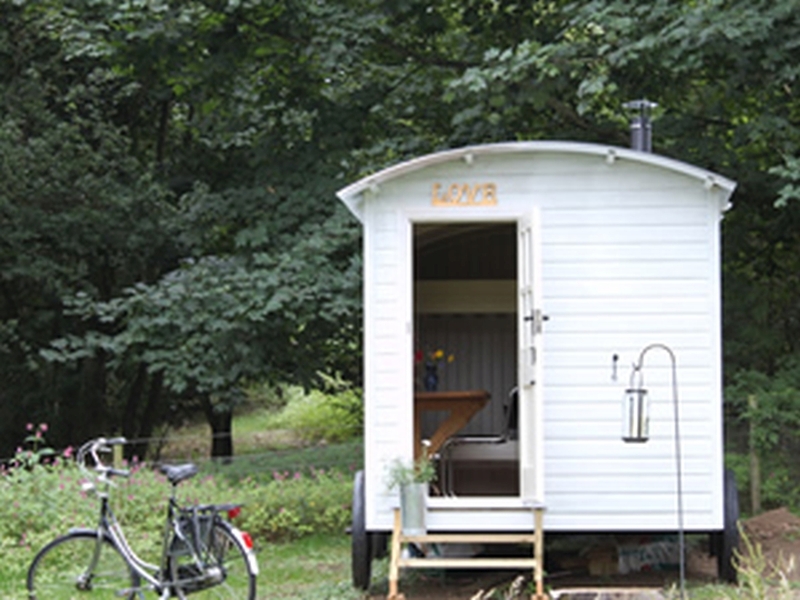 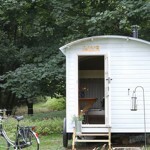 Shepherds huts are small spaces that have grown in popularity over recent years. 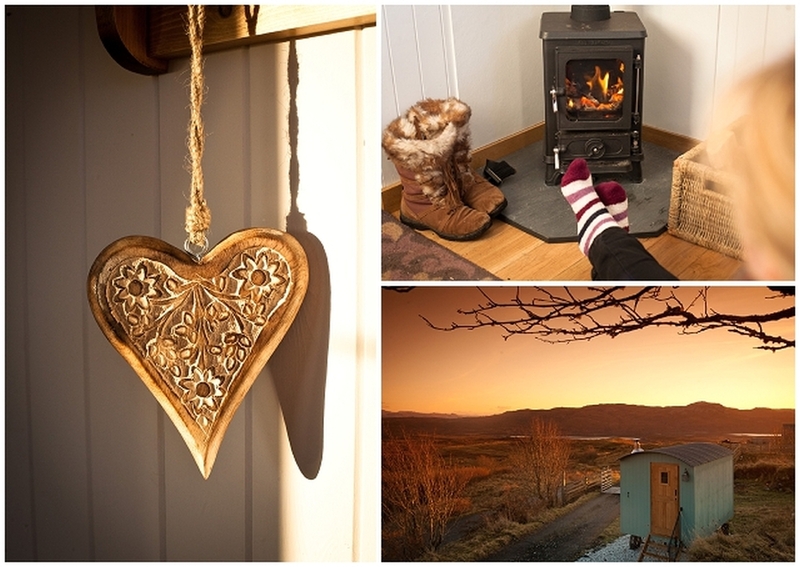 In this ‘off-grid’ situation a woodburning stove is the perfect solution, providing heating and a real sense of focus to the space. 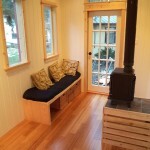 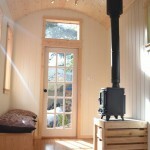 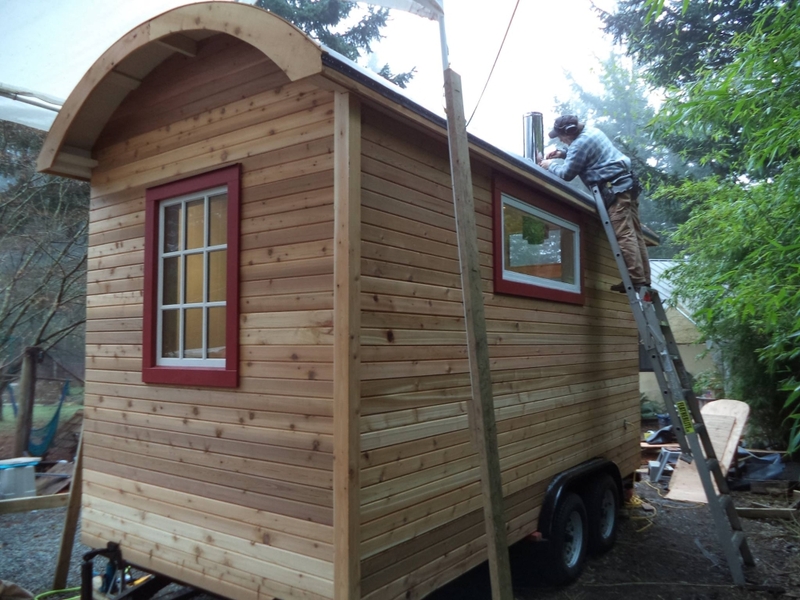 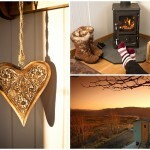 Install a wood stove and use your hut all year round. 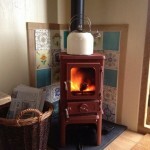 Easy to install using our complete flue kit solutions. 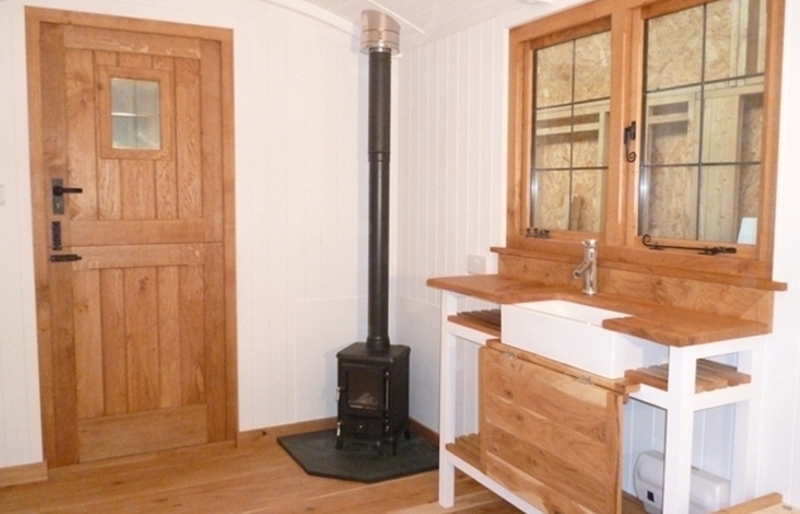 The designs of shepherds huts are fairly similar whilst there is variation on the specification and finish. 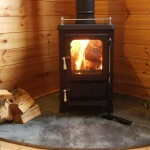 Our little Hobbit stove is becoming a popular choice as a shepherds hut stove as it is a compact stove yet gives a great view of the fire. 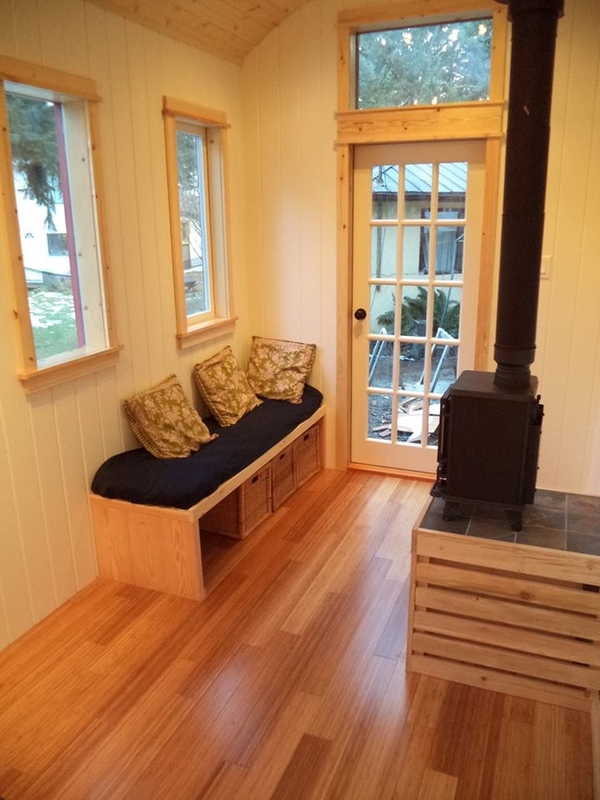 It has a small footprint which makes it ideal for the limited space and it’s traditional styling means it suits most décor choices. 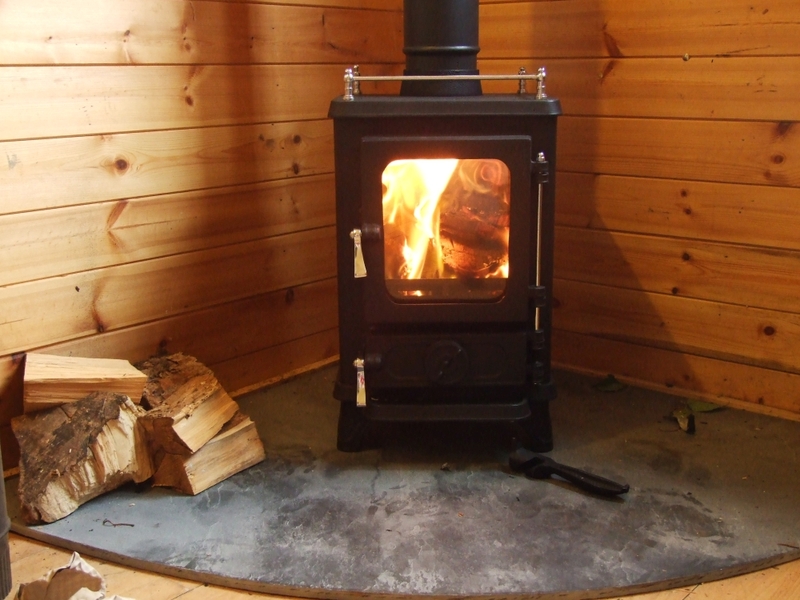 The freestanding nature of the installation means that often the optional stove stand can be used liberating more space for logs or kindling. 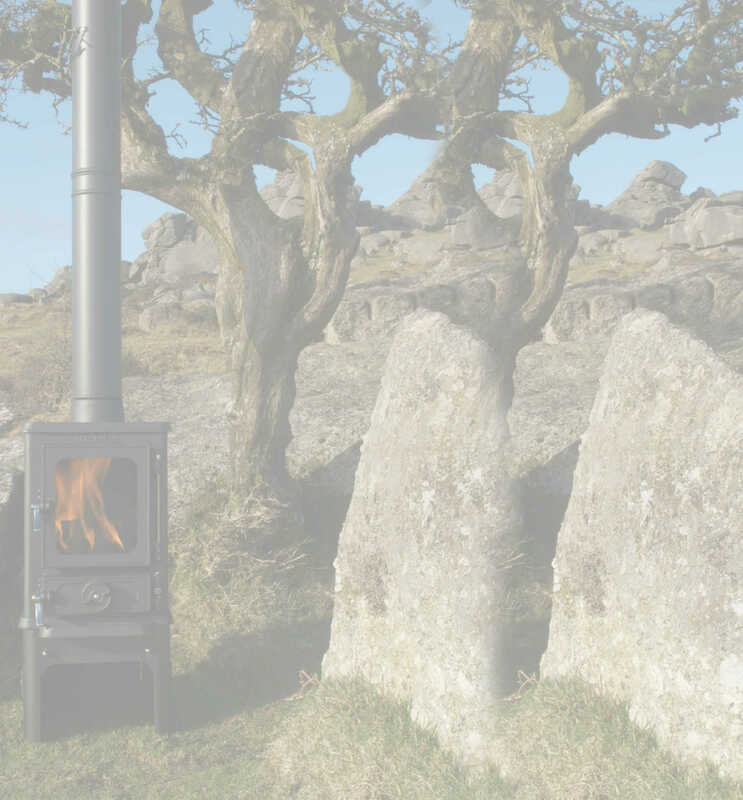 The cooking capabilities of the Hobbit stove make it especially good in this ‘off-grid’ setting. 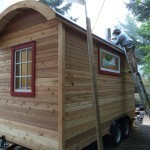 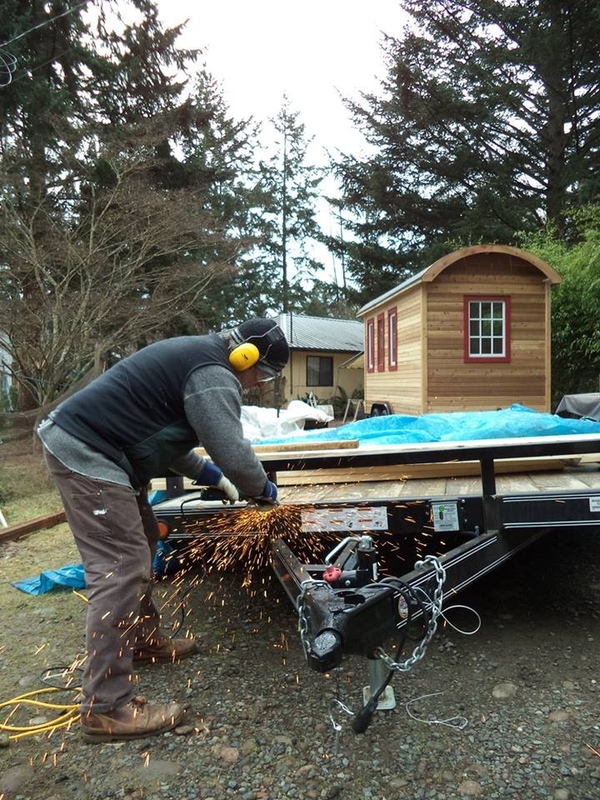 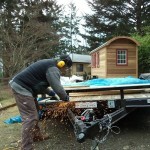 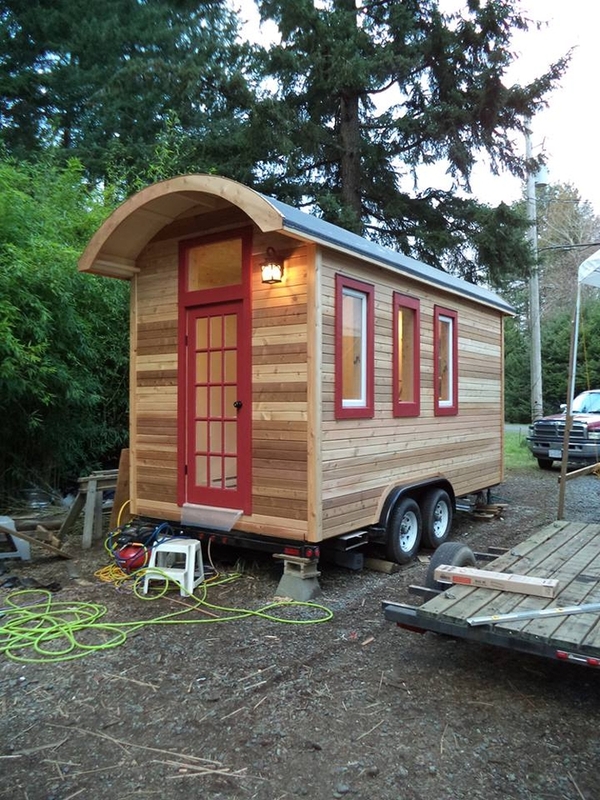 This installation is very similar to that of a small craft or cabin. 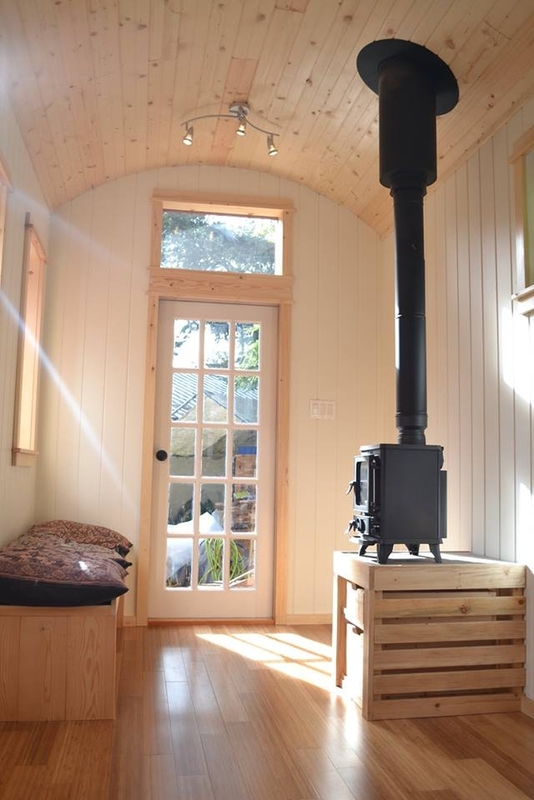 With the majority of the flue inside the hut, the job can be done using single skin flue pipe for approx.. 1.4m and then converting into twin wall flue where you penetrate the roof. 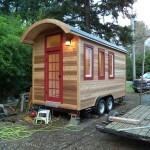 You then need a flashing, storm collar and termination such as a rain cap. 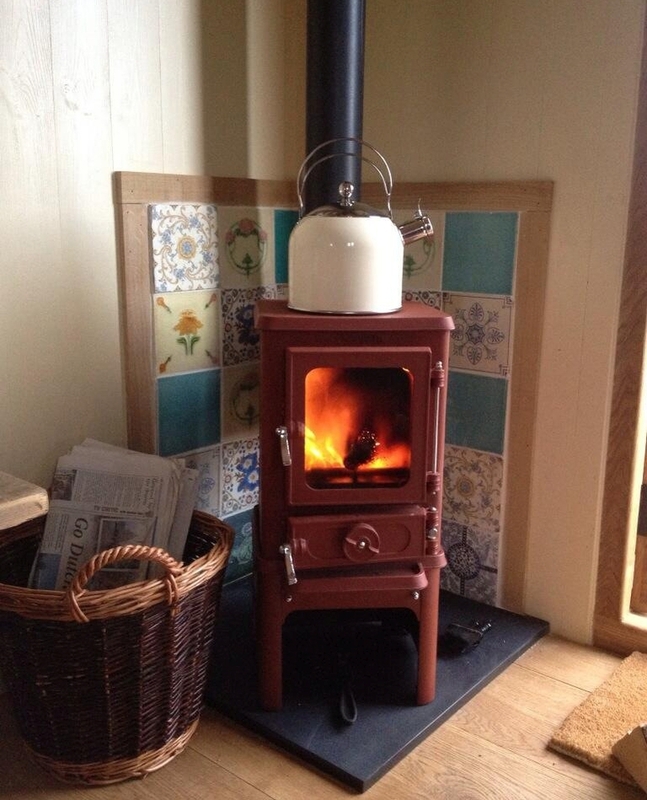 We are working on a step by step installation guide to accompany the standard stove installation information. 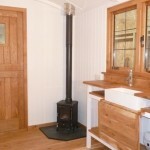 For more detailed information on the flue components required to install a wood stove into your shepherds hut take a look at this blog.